Male breast reduction surgery has been proven to treat gynecomastia and pseudogynecomastia, which affects 40 to 60 percent of men. 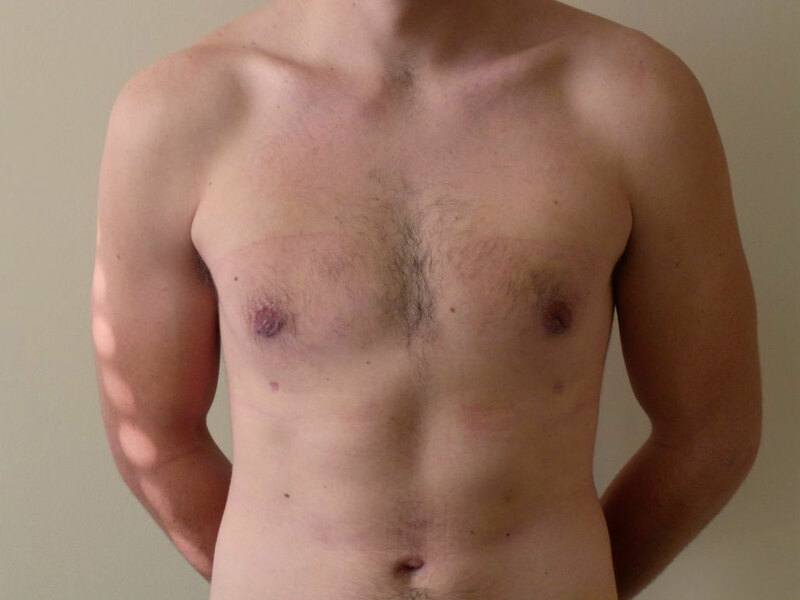 Developing fatty or glandular tissue around the chest can create a feminine chest shape that makes many men feel uncomfortable with their appearance. By eliminating this problematic tissue, Dr. Mabourakh is able to restore a masculine, defined chest contour. What Are My Male Breast Reduction Options? Excising the glandular tissue and fat from the breasts is the most thorough way of treating gynecomastia. The incisions for excision are placed in inconspicuous locations, either on the edge of the areola or in the underarm area. Dr. Mabourakh then removes tissue from around the areola and down the sides of the breasts. Excision can be combined with liposuction to achieve a better chest contour. For men whose male breasts are created by large deposits of excess fat, liposuction may be the best technique. Small incisions are placed along the natural crease of the chest, and a cannula is inserted to remove excess fat. This procedure allows Dr. Mabourakh to control the contour of the chest and focus on areas of needed correction. With most men, due to the fibrous nature of the tissue, ultrasonic liposuction is required to achieve the desired result. In some cases, the removal of excess fat and glandular tissue results in empty, sagging chest skin. Dr. Mabourakh can remove unnecessary skin and tissue to restore a firmer, more defined chest appearance. Male breast reduction surgery focuses on removing the tissue that causes men to develop a soft, feminine chest appearance. When contouring the chest, great care is taken to maintain a masculine shape and restore definition. Dr. Mabourakh uses ultrasonic and tumescent liposuction techniques using a fine cannula to improve the contour of the chest and, if necessary, utilizes the open technique to remove any excess breast tissue that may be visible through a small areola incision. Areolas have a significant impact on the overall look of your chest, as puffy areolas can be aesthetically unattractive. A key aspect of male breast reduction procedures is to ensure that the areolas are proportional to the rest of the chest. Men often feel self-conscious about their bodies, especially when they struggle to achieve the chest definition they desire. 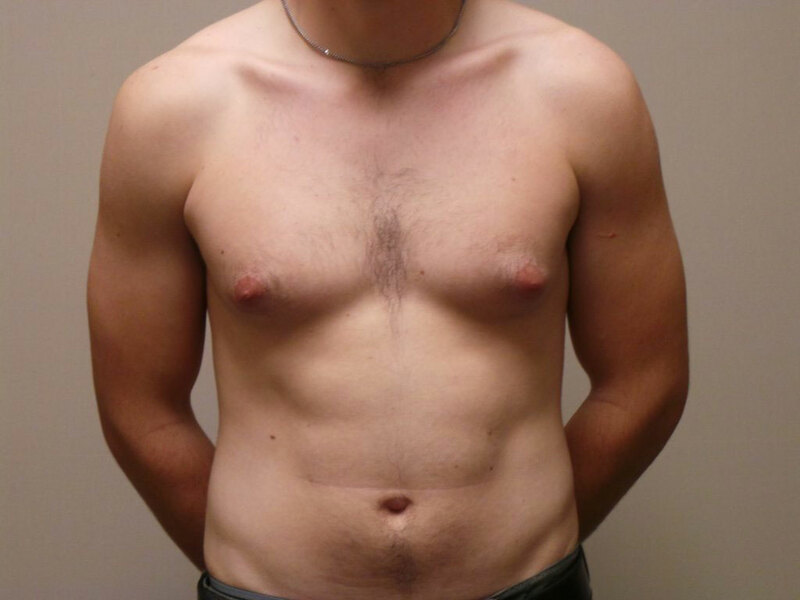 Male breast reduction not only treats a medical concern but can help to create the physique you desire. Recovery time after male breast reduction surgery is about three weeks. Patients should arrange for someone to drive them home from surgery and assist them for the first 24 hours, as routine activities may be difficult. Bending and lifting are restricted to a minimum, and exercise is not permitted. Patients can resume regular exercise about four weeks after surgery. The incisions made during male breast reduction surgery are hidden in the most concealable locations possible. However, if scaring does develop, it will likely fade over time. The cost of male breast reduction surgery varies depending on the extent of the procedure and your surgical options. Dr. Mabourakh’s office will provide you with a quote for your surgery at your consultation. General anesthesia is used during surgery, which will keep you pain-free. After surgery, some degree of discomfort is expected but can be minimized by prescribed pain medication. I am so happy with my results. Dr. Mabourakh is an artist. The staff and Dr. Mabourakh were friendly, supportive, and professional. I was very satisfied with every aspect of my experience. Everyone was very welcoming. Dr. Mabourakh made me feel very comfortable from the very first appointment which was huge for me! Dr. Mabourakh was amazing his team was wonderful! I would highly recommend ANYONE who is looking to come there! Thank you to everyone in this office you all are GREAT! Everyone was very nice and made me feel comfortable. Did not push me on anything. Decisions were fully my choice and had helpful input when I asked the questions. If you have gynecomastia or pseudogynecomastia that negatively impacts how you view yourself, you may consider male breast reduction surgery. Patients looking to treat excess tissue around the chest should be in good health and have realistic expectations about their results. Can I undergo a male breast reduction procedure if I am overweight? Men who are overweight or obese may have male breasts that are caused by fat accumulation. It is best to try treating the issue through diet and exercise before considering surgery. How old should I be before undergoing male breast reduction surgery? Younger boys, especially during puberty, are likely to experience mild gynecomastia, which may resolve itself naturally. Surgery is typically not performed on patients under the age of 18. No matter your age, though, it is important to discuss the causes of your gynecomastia with a medical professional before undergoing surgery. Male breast reduction surgery is designed to provide a permanent correction to the appearance of your chest. However, some medical conditions and certain lifestyle choices can cause your gynecomastia to develop again. Discuss your long-term goals with your surgeon to determine the best way to prevent future issues. Are there any risks associated with male breast reduction surgery? As with any surgery, there are some risks involved with male breast reduction. These are rare and include anesthesia risks, numbness, fluid accumulation, infection, swelling, and bruising. All of these will be further discussed during your initial consultation.